My October roundup is going to feel sparse. I feel like October passed me by in a blur and now here I find myself in November already! October started whilst we were still in Wales but it was soon back to business and back to work. We had our Christmas meeting where we decide what sort of things we’ll be making with the children over the festive period. We had the meeting in Costa (yes!) and I had a scrummy Toffee Apple Hot Chocolate. If you’ve not tried this, its a must! 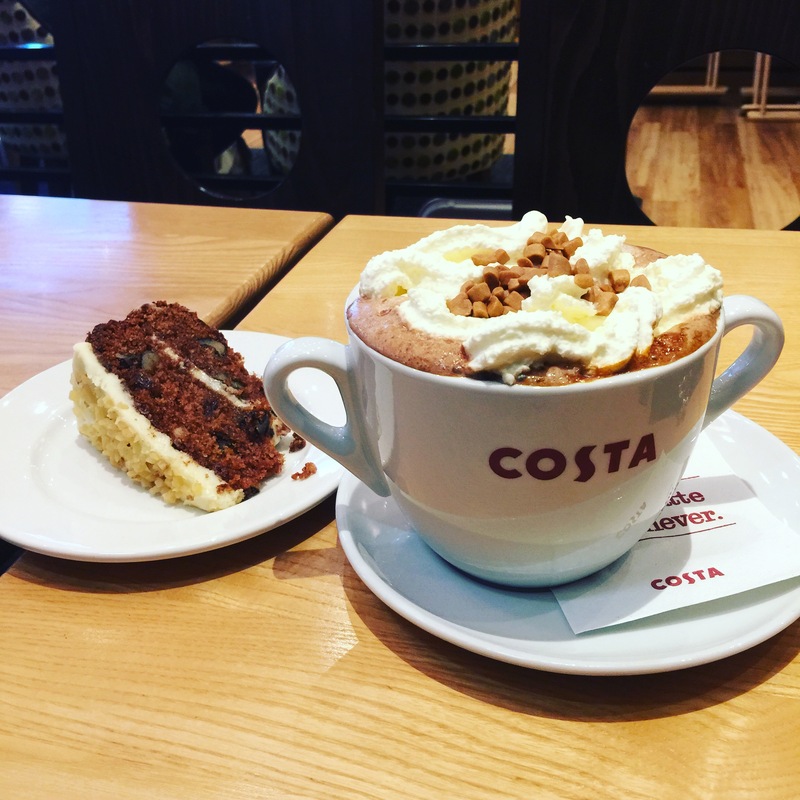 I was ill with a terrible cold and chest infection in October too, I still don’t feel completely over it if I’m honest but Costa is always guaranteed to cheer me up. 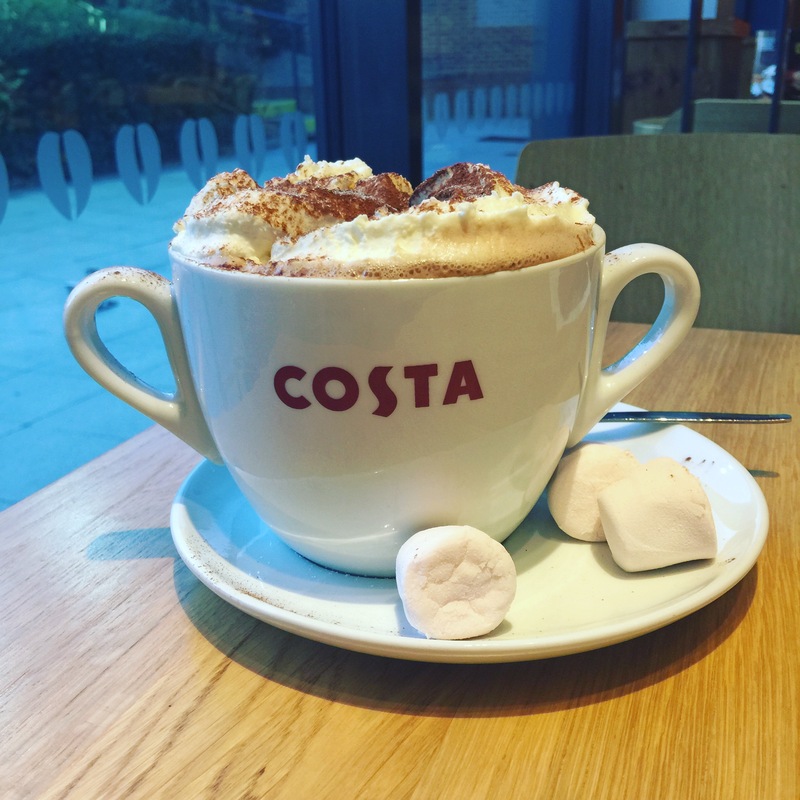 It’s beginning to look like my October is sponsored by Costa! I went shopping with a work friend in October in Portsmouth. We were looking for the Disney Primark hats for us both and another work colleague. Absolutely gutted to say we couldn’t find them (and still can’t) but it’s cute right? Speaking of cute, we went for a coffee. We tried Starbucks but their coffee machines weren’t working (??) and then went to Costa which was absolutely rammed. 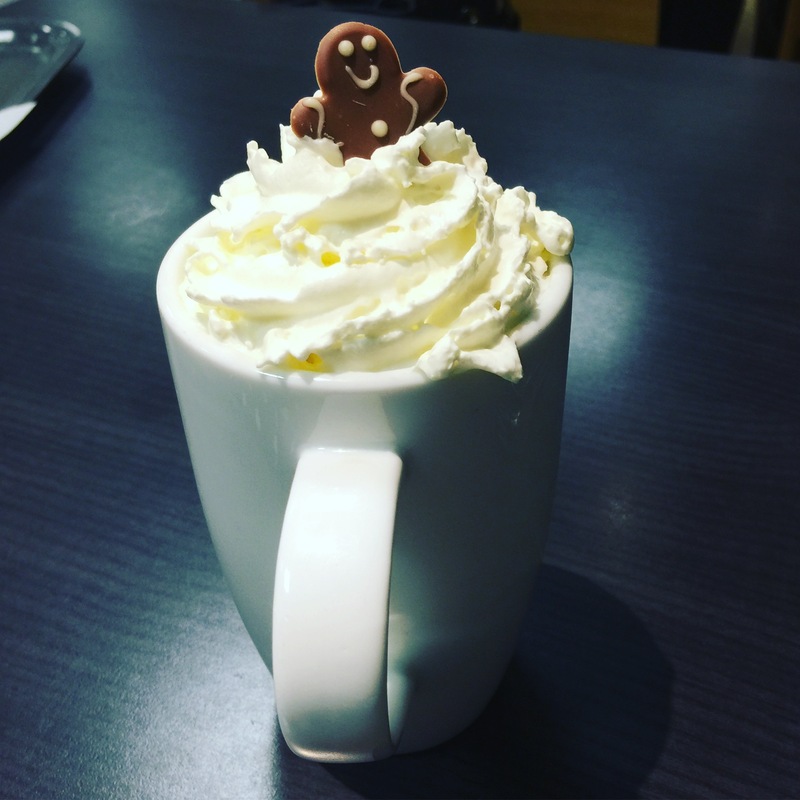 I’m guessing because of Starbucks being a no go so we went to Debenhams coffee shop where we had cute Gingerbread Lattes with a little chocolate Gingerbread man in the top! 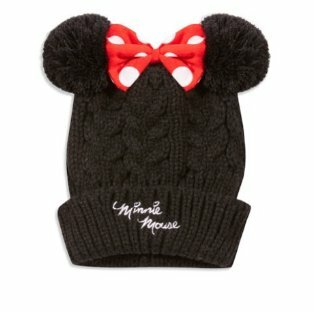 So cute and a fraction of the price. 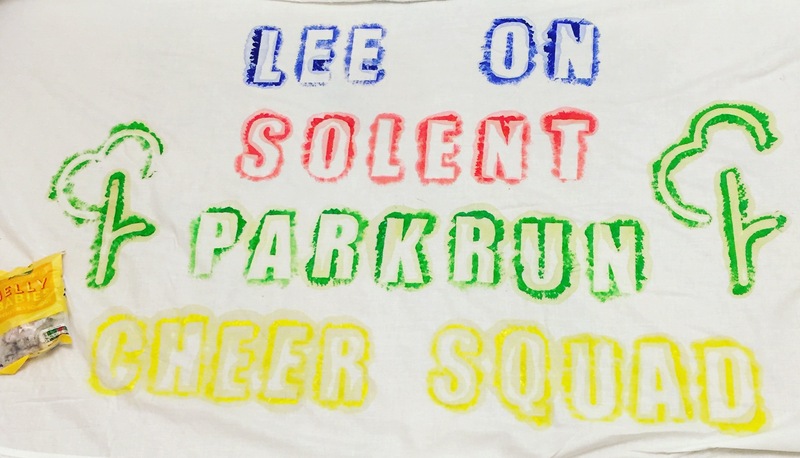 October ended with me going to the Great South Run with one of my volunteering friends from parkrun. So many of our parkrun runners were participating in the race so we went along to cheer them up and hand out jelly babies. I made this sign and posted it on social media so they knew where and how to spot us. It was so much fun and we managed to spot so many of our parkrunners but it was difficult as there were so many runners. 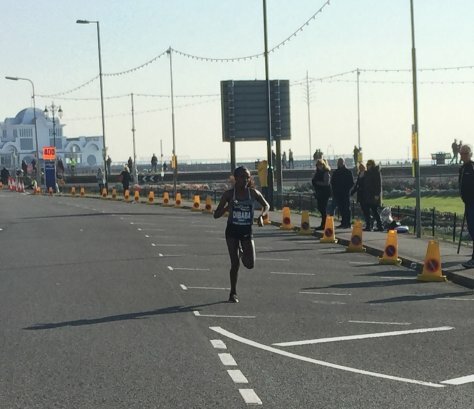 I’ve never been to a race like it but it was a fantastic atmosphere and I saw one of my favourite athletes Tirunesh Dibaba who won the women’s race. Afterwards I watched it back on TV and managed to spot myself taking this picture of her! Not the greatest photo but you can see it’s her. Such an amazing athlete. I think that’s it for my October roundup. Below are my other October posts, have a read if you missed them first time round. Ahh I do love a Costa. I have one every Wednesday at work (there’s a Costa just over the road from my office and the temptation to buy one every day is strong…).